Last time I was at Calo was 2-3 years ago, I was fairly well in my cups, as was the always engaging Harry V. The bar was poorly lit, slightly dank, with a surly bartenderess at the helm and there were two older transsexuals alternately singing karaoke and screaming at each other in back. In other words a perfect setting for a late night course of alcohol absorbing pizza. Calo was on Harry V's home turf at the time and he had figured out a way to 'beat the system', pizza well done with light cheese, and damn if it wasn't pretty good. No much, if any, character in the crust, but well into the edible range, especially for late night. Fast forward a few years to a prematurely warm sunny Chicago spring day and the 'new' Calo. Sliding glass doors, open to the street, welcome one to a spotlessly clean, gleaming with polished wood paneled .....well, pretty much wood paneled everything, friendly attractive hostess, non-grumpy bartenderess and two nicely appointed dining rooms. This ain't your Daddy's, in drag or otherwise, Calo. What struck me, aside from the complete Melmanization of the place, was just how serious they were about keeping the place clean. It was just before the lunch rush and I saw at least three people dusting, cleaning, wiping, including the hostess. I venture to guess this was more cleaning than happened in a year at the 'old' Calo. Our lunch was a heck of a lot better than I remembered, pizza light cheese, well done, was not bad at all, though no worry for Candlelite, Vito and Nick's etc. Giardiniera served with the meatball sandwich was quite good, especially on the pizza, but, then again, I've never met a giardiniera I didn't like. Our table fronted open sliding doors, with a very pleasant view of pedestrian traffic on Clark, prices were reasonable, with a number of lunch specials, service was fine and the place was populated by pleasant seeming people of all ages and orientations, chatting, eating and enjoying the day. Me, I miss the old Calo. Changed is a bit of an understatement. G Wiv wrote: Me, I miss the old Calo. Me too. I really enjoyed the darker and dustier version of Calo. It was so old school. I have always liked Calo's pizza. Although, I think the quality declined last year. 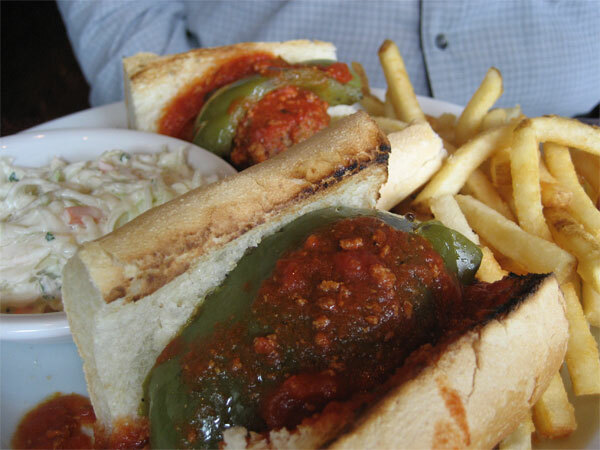 It has always been the best option for delivery in Rogers Park. It sure beats the heck out of JB's (who seem to have some kind of lock on the RP pizza delivery market). I am glad you tried the Octopus. 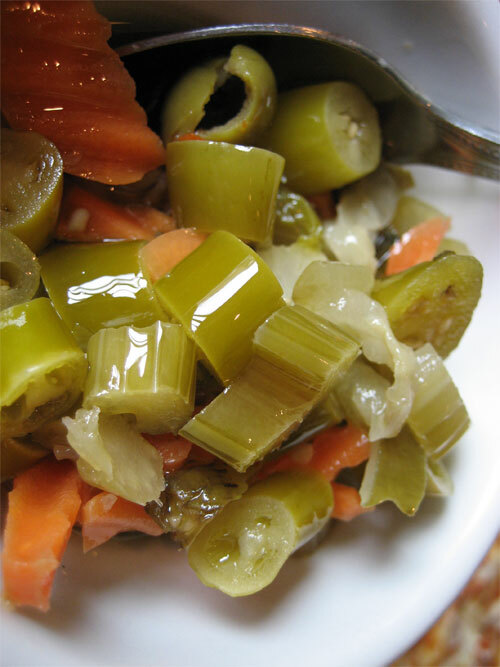 That is one of my favorite Calo dishes. 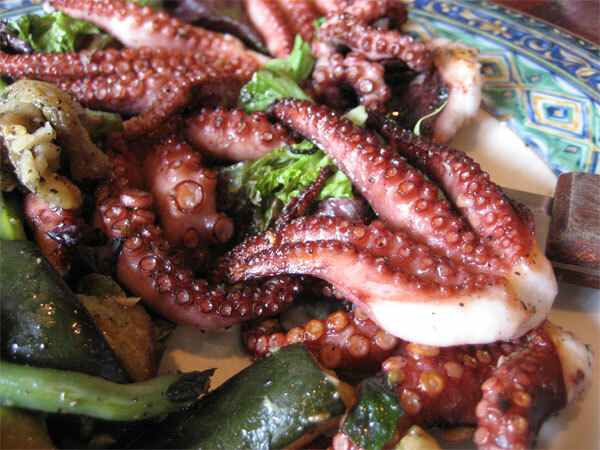 I love the touch of grilled crunchiness, which offsets the texture of the tentacles. However, in your picture, it doesn't look quite as charred as I remember it. Last edited by d4v3 on April 18th, 2006, 9:05 am, edited 1 time in total. You forgot to mention that along with the beautiful face lift, they also seem to have gotten a new chef...or at least a new tomato sauce recipe. The pizza was surprisingly good, considering that it used to be at the very bottom of my thin crust list due to the poorly made, acidy, raw tomato paste-laden sauce. Calo's has been my usual place for delivery pizza for the last 2 years. I've been pretty happy with it. However, I order it well done & make sure there are no more than 3 toppings. Usually I just order sausage or sausage/onion. 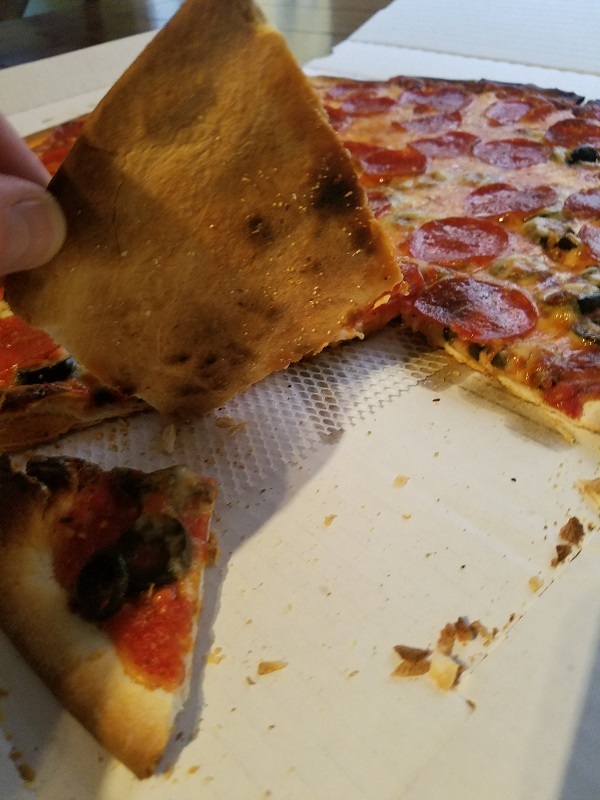 That way the crust stays crisp. I wonder if it's worthwhile to order some of the entrees for delivery? stevez wrote: they also seem to have gotten a new chef...or at least a new tomato sauce recipe. I haven't ordered a Calo's pizza for over a year because the quality went downhill. It seemed that both the sauce and the crust had changed. Even after one disappointing experience, I ordered another, hoping it was just a fluke, but it was just as bad. What I got was a pretty soggy mess. I will have to try them again, now that they are "new and improved". Octopus was more charred on the other side. Mike G, in an earlier life wrote: Subject: Finestra finito? Calo okayo? So you start thinking you're going to be posting in one thread, and you wind up posting in another. The talk about moderately priced Italian inspired me to go check out a couple of places I'd been thinking of checking out forever; because of where I'd happen to be with my kids this evening, the place that came to mind was Finestra, the allegedly snazzier place owned by and next to comfy old Calo in Andersonville (5300 something north Clark). Well, I get there, kids in hand in the flurries of snow, and... Finestra is dark. Next door they say it's closed for "maintenance"; I'm not sure if that's for real or if that's like the kind of closing for "redecorating" that you never reopen from. So suddenly I am forced to go be in the Italian time warp thread instead, and actually eat at Calo, a place I've only ordered delivery pizza from. And of course, all I can think of is... the guy who had one of the worst meals of his life at Italian Village. Well, it was certainly better than that, even though the crowd was old enough for The Village and the rough-hewn interior didn't even really seem like a Chicago restaurant-- more like the one Italian restaurant in a Wisconsin resort town, or something like that. Actually, although the minestrone (which I got, by the way, after asking for salad) was ordinary and the veal marsala was tasty and tender but deeply, deeply old school, I was pleasantly surprised by the gnocchi. They were a little heavier than the feathery ones at, say, A Tavola, but the "tomato cream basil" sauce (they left out its other main ingredient, abundant pepper flakes that should have earned it a term like "diavolo") would have done any trendier place proud. Actually, it may well have been better than the sauce I've had on gnocchi elsewhere-- for some reason gnocchi always seem to end up with the simplest kind of marinara sauce, but this had chunks of semi-caramelized onions too which might have struck many a chef as excess but seemed just fine by me. I'm looking forward to finishing the rest of them tomorrow. I have been to Calo twice now since the remodeling, both times sitting on the Bar side on a Saturday night. The atmosphere was unpleasant and loud. The food was mediocre, and the service was not great. I will say that I did have the octopus and that was very good, a bright spot in an otherwise lack luster experience. Anyone been to Calo recently? I ask as my mgr just let me know her wedding reception was held at Calo and she stressed I should try it. Haven't dined at Calo for about a year, but probably 3x in the last 5 years. Very solid, reasonably-priced. Standouts are the grilled octopus (or squid) over spinach, which is an appetizer but I've had that as a main, also the rigatoni caprese and thin-crust pizza. I've thought that since the remodeling, the muted dark wood tones have absorbed some of the loud diners, a good move. Calo is probably my go-to old school Italian place on the north side, along with Mirabella on Addison. I think their pastas are . . . fine - big portions that generally satisfy but will never excite IMO. I do dig the pizza bread they serve to every table. 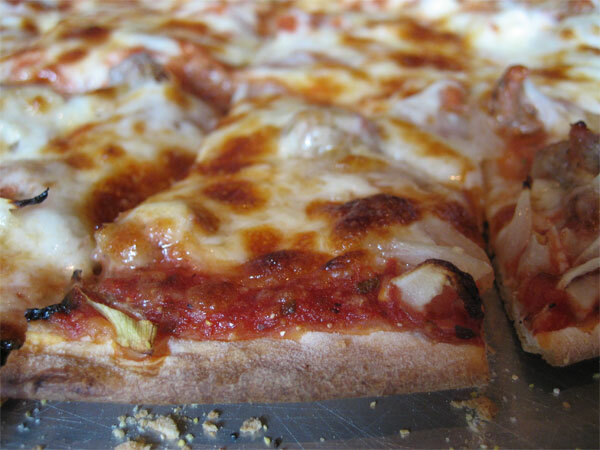 But for me, the real highlight is their terribly underrated tavern-style pizza, which is among my very favorites in town - nice, crisp crust that's cut into squares and a solid tomato sauce that avoids the Chicago sweet tomato sauce phenomenon. Problems arise only when you order too many toppings or a small pizza (not square cut). If you want a little extra char on the edges, ask and they shall deliver. But note: Calo offers two other styles of pizza . . . order those and you will not be as pleased. We get takeout from Calo every couple weeks. 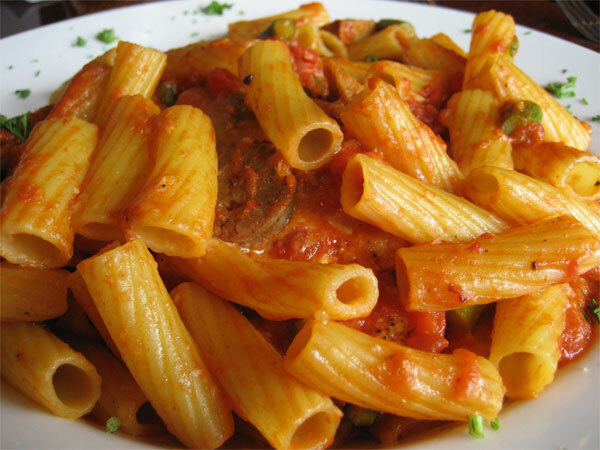 They have a fairly large red-sauce-joint menu the whole family (two non-picky adults and two picky little kids) can enjoy. The only things I haven't really enjoyed are their sandwiches and ribs. Otherwise, the thin-crust pizza is fantastic (my favorite in the Lincoln Square/Andersonville/Uptown/Edgewater vicinity), the pastas are good, the fried chicken is good, and the entrees are decent. And most of the portions are HUGE. We get multiple meals out of one takeout order, and sometimes I'll even repurpose pasta sauce dregs to use with my own pasta. 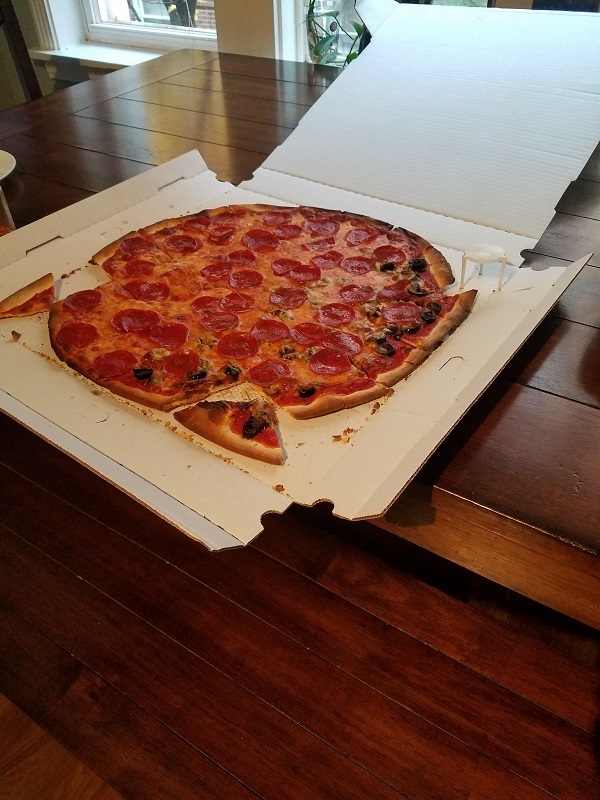 Had no idea Calo did thin crust, delivery last weekend was on point, crust well done as requested and sauce wasn't overly sweet. Definitely going into the pizza rotation. Thanks for the lth heads up. Sweet Willie wrote: Anyone been to Calo recently? I ask as my mgr just let me know her wedding reception was held at Calo and she stressed I should try it. Not sure if you are asking about the space or just the food but I had my wedding shower there about 2 years ago and they did a great job! Space was really pretty and they were easy to work with. Parking was easy for the out of towners. Food (pasta dishes mostly) were discretely set up and replenished. Even though it was set up as a buffet, it didn't taste like buffet food (overheated and bland) However, I'm biased on the food because the pizza was my go-to growing up and still the one thing I crave now that I'm out of the delivery boundaries being in the South Loop. I get around that by ordering a medium thin-crust whenever I visit my parents to bring back.